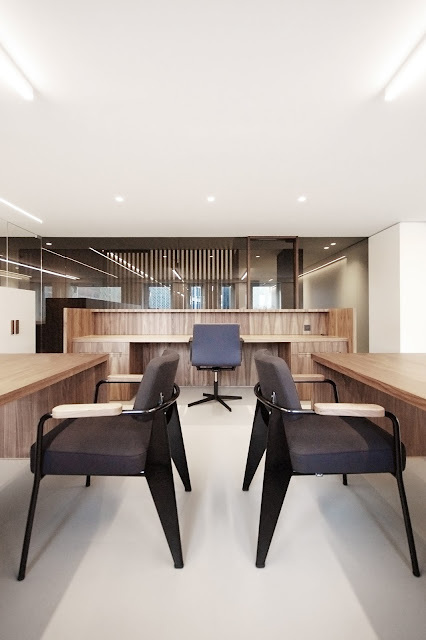 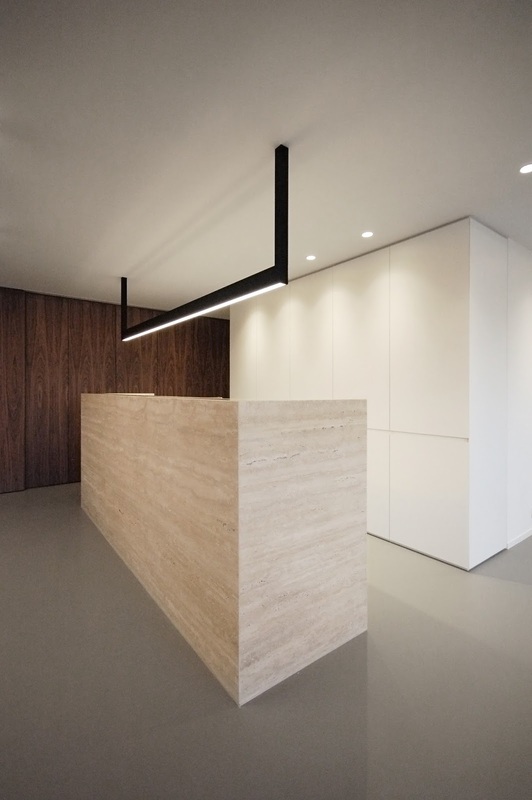 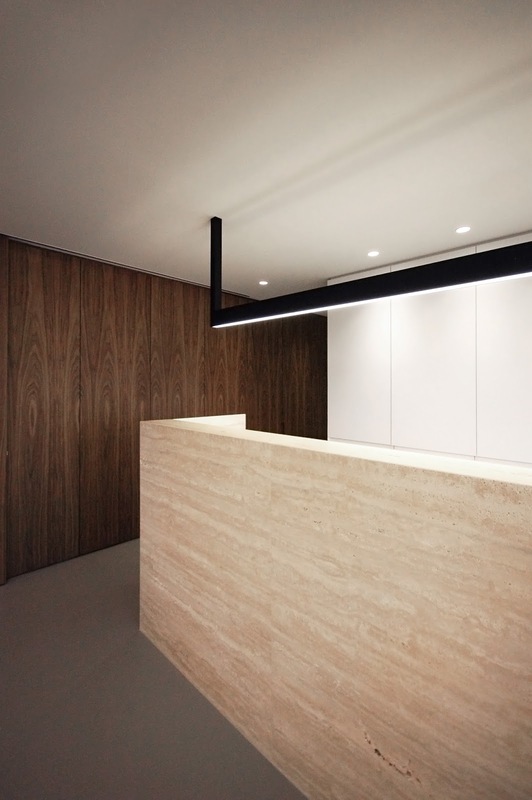 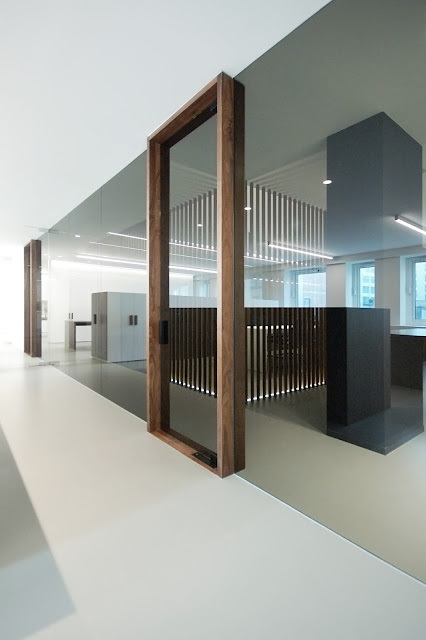 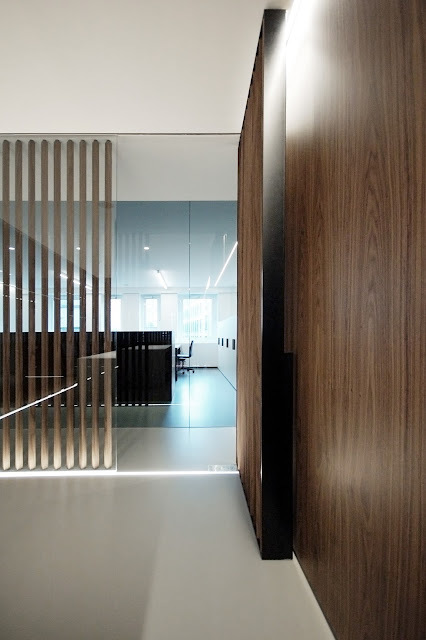 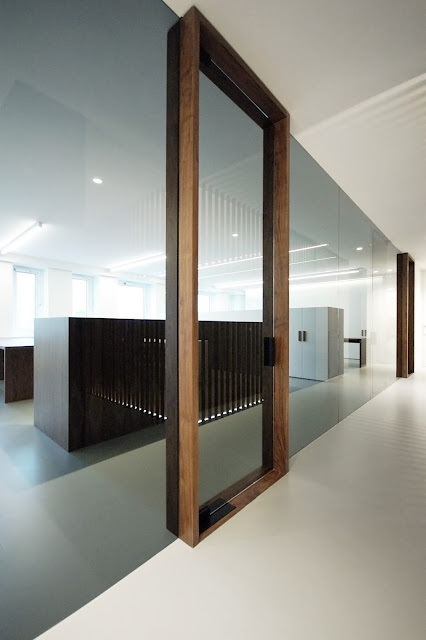 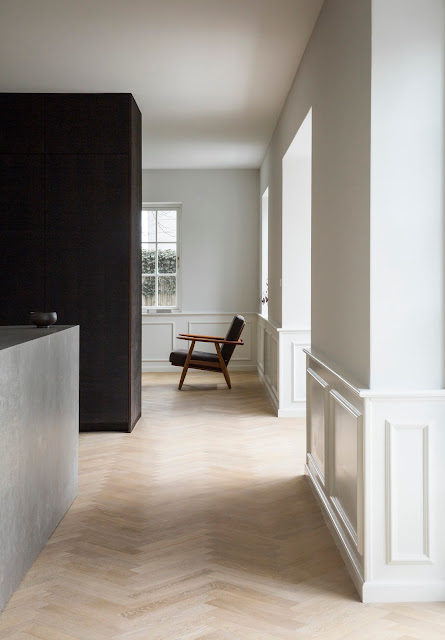 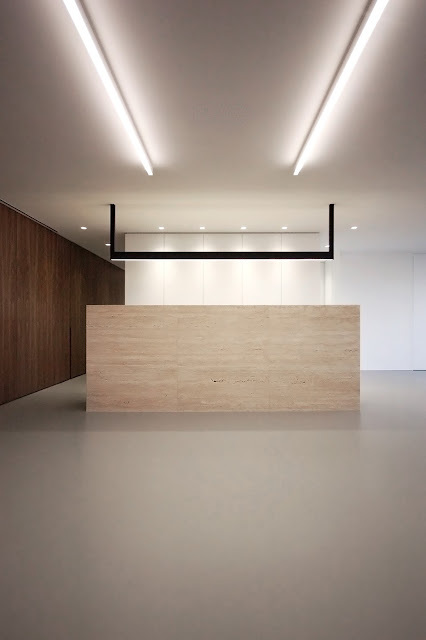 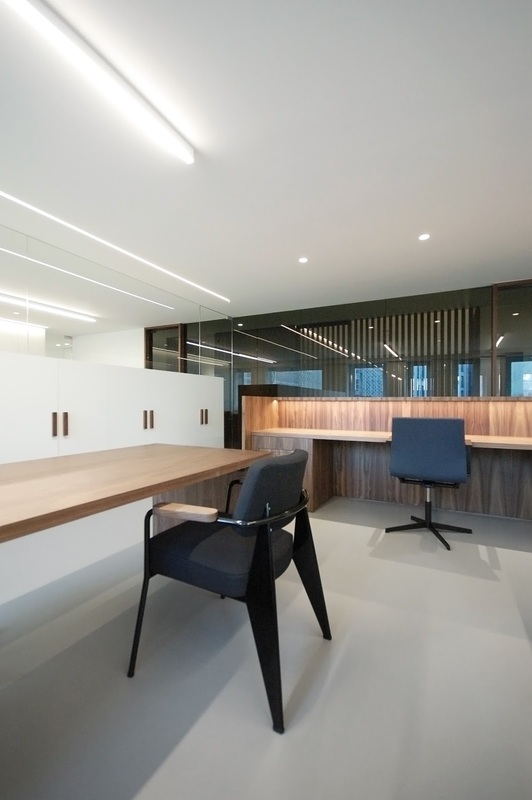 Belgian architect De Meester Vliegen renovated two floors of an office building from the 70s in Antwerp into a contemporary, minimalist office space with a minimum material palette of glass, wood and travertine. 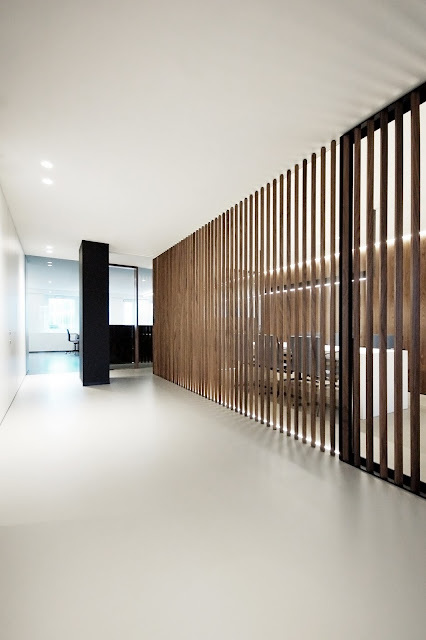 The project is located in the office building district in the city center of Antwerp. 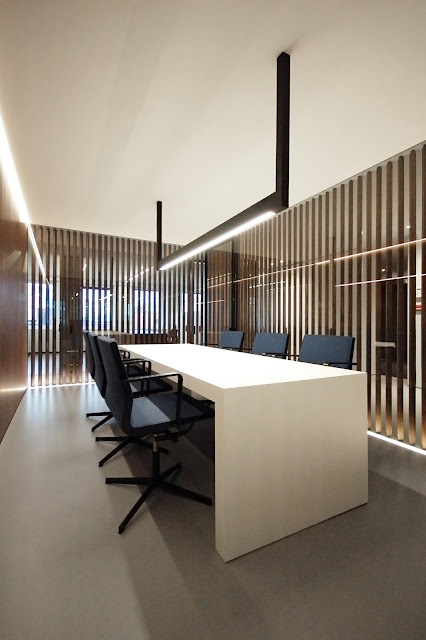 It covers the complete fourth and fifth floor of a seventies office building, in total about 800 square meters. We stripped these two floors to the naked concrete structure, so the renovation was about the complete redesign of these two floors both from the esthetic and the technical part, the reorganization of work and the "culture" of the company itself. 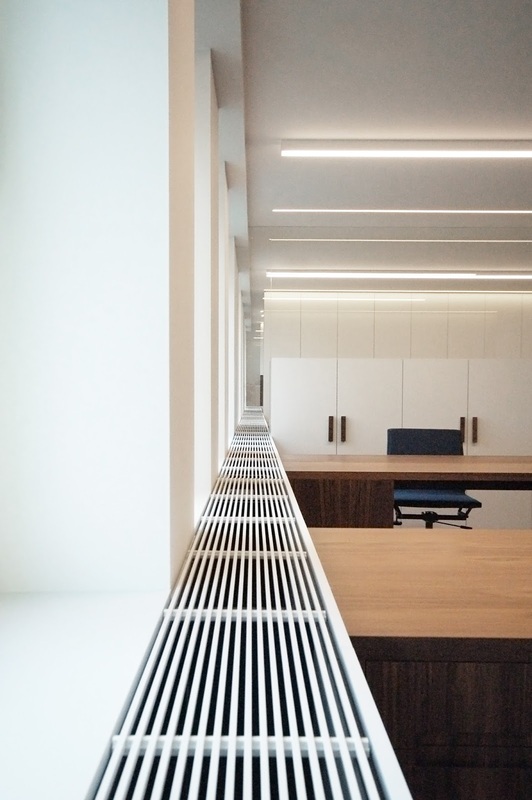 The fourth floor became the "working area" with all the offices, functional office areas such as copy, informal meeting, toilets, wardrobe etc and a daily meeting room.The fifth floor became the directors offices, large boardroom, kitchen and lunchroom etc. 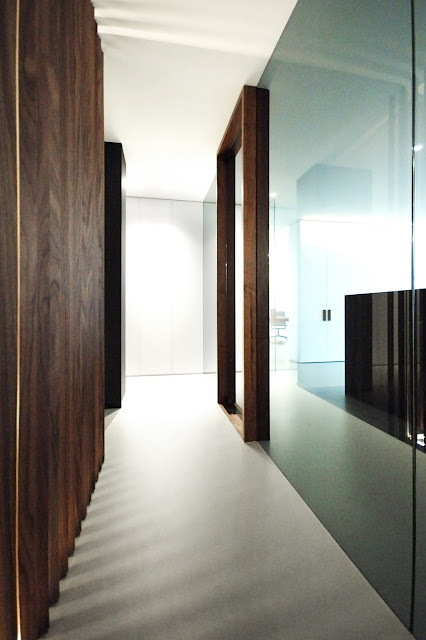 Both floors were designed with the same materials and sober design quality's that are always present in our projects. 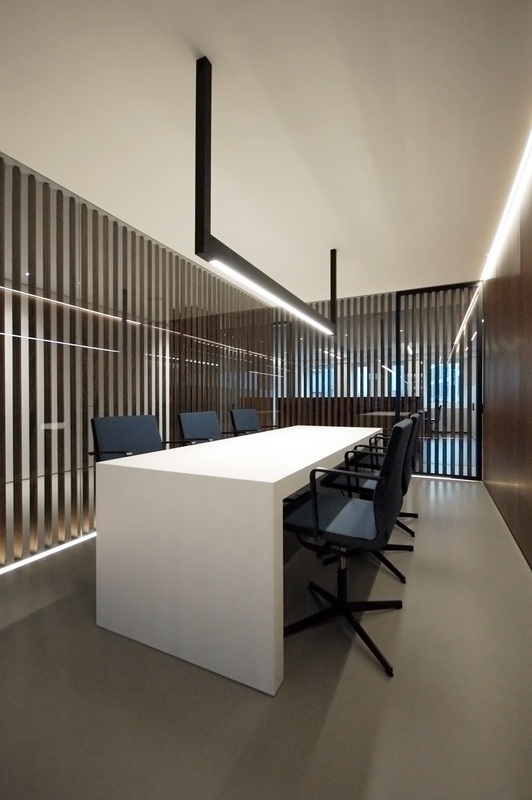 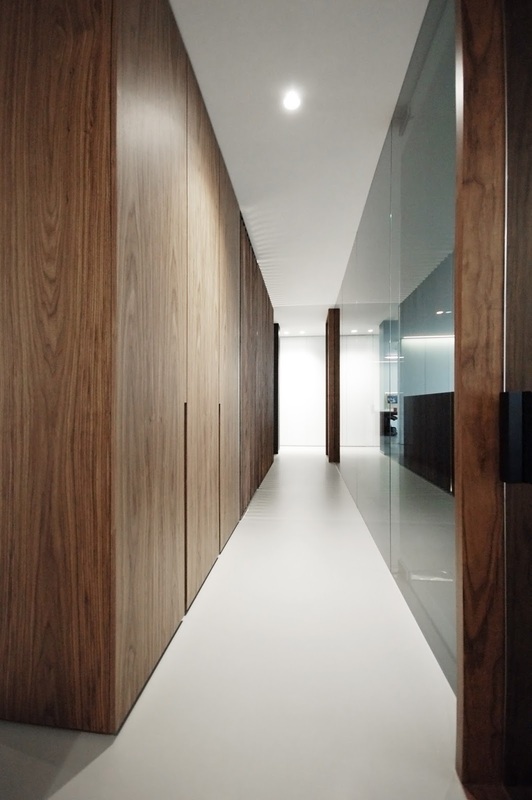 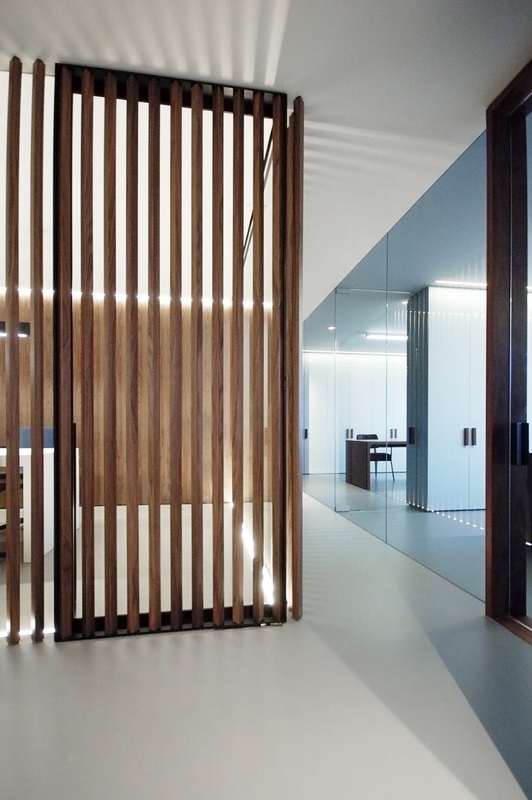 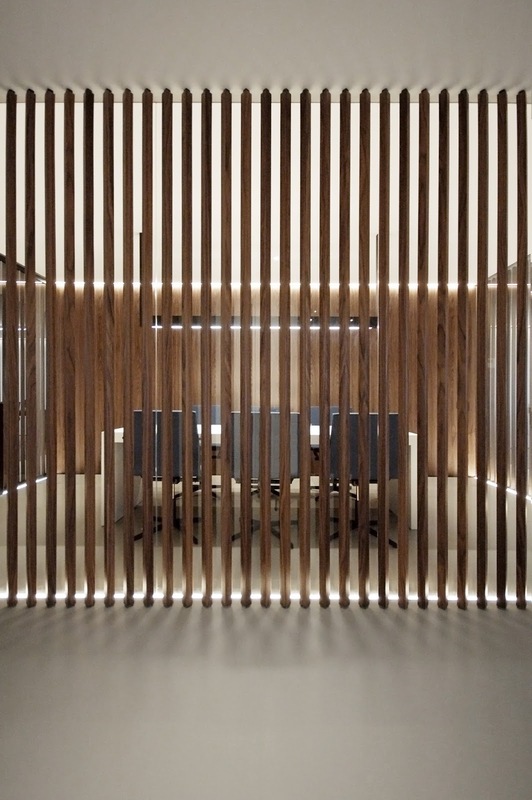 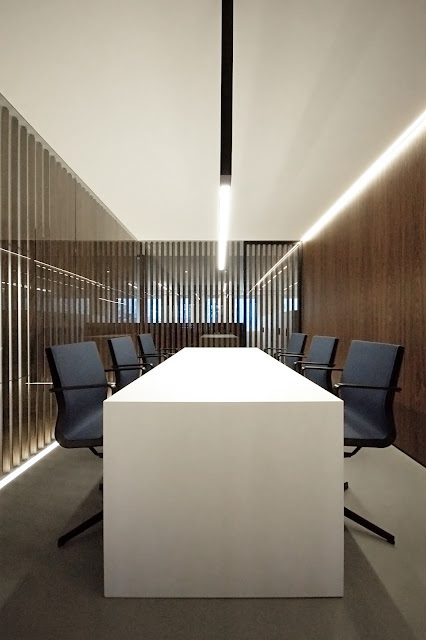 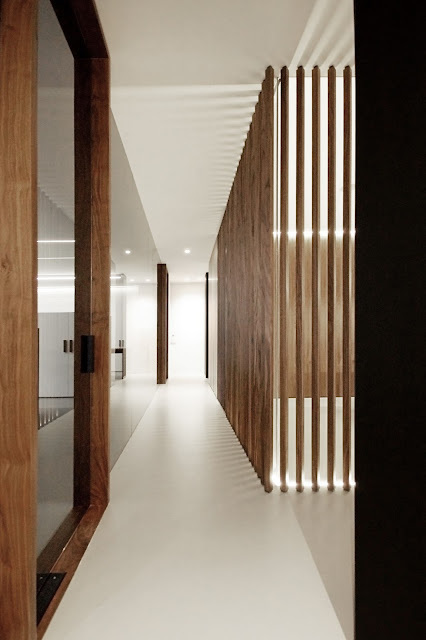 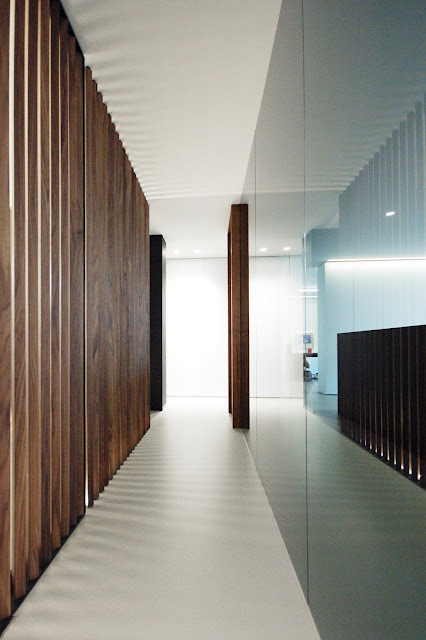 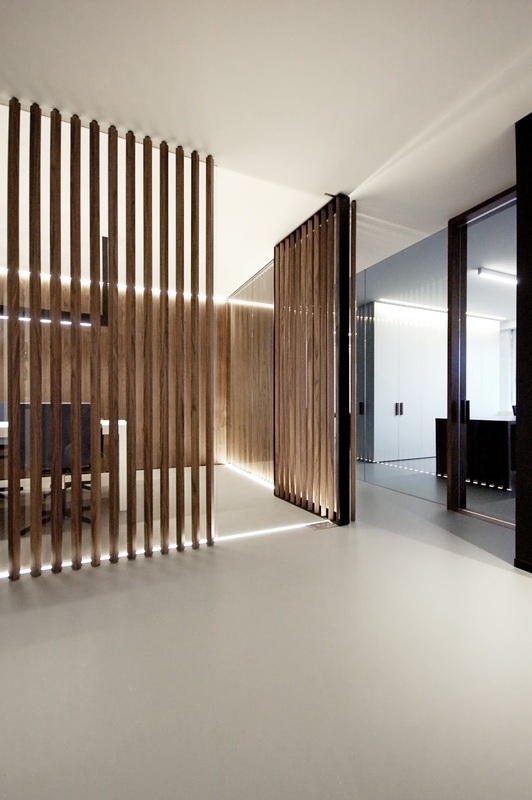 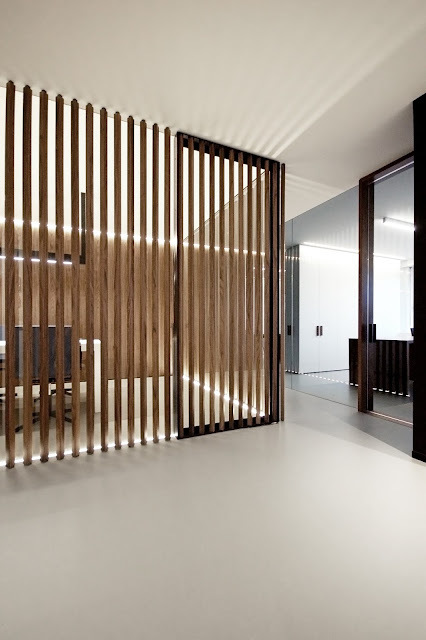 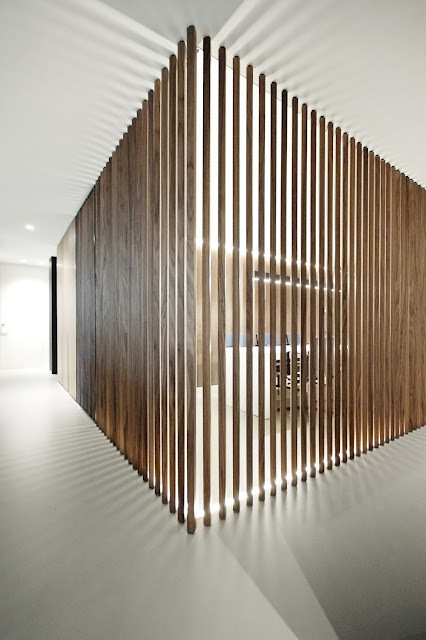 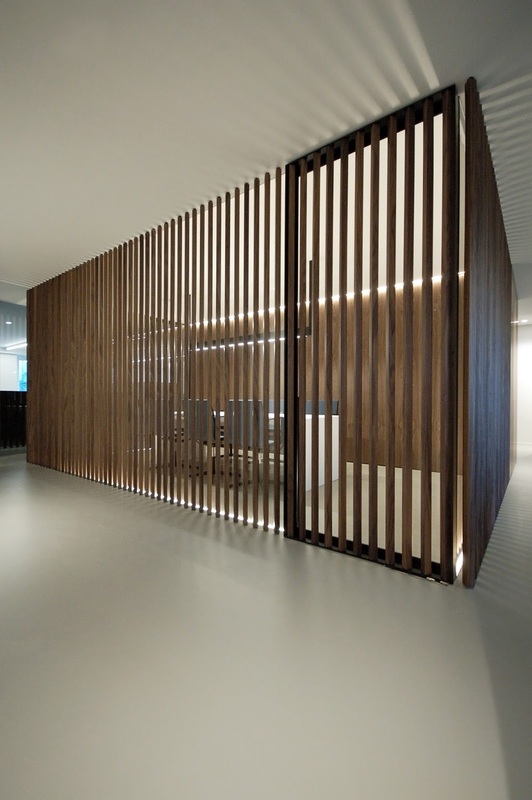 The fourth floor was designed around a central meeting room and functional areas, build completely in nut wood, with beams in wood semi-separating the meeting room visually from the rest. 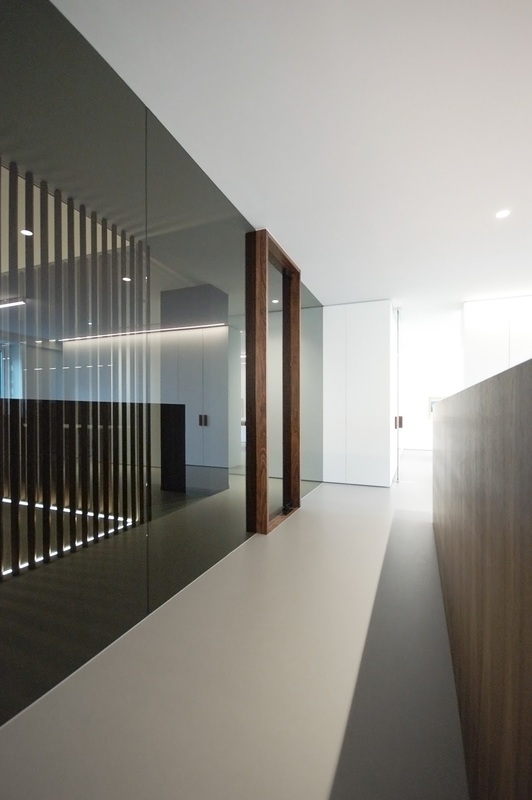 Circulation was organized all around this element and then on both sides there is a ceiling high grey "fumé" glass wall which has nut wood framed glass doors. 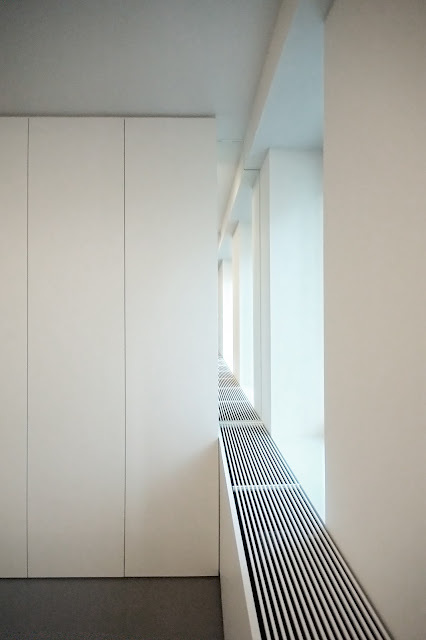 Behind these walls there are all the actual office spaces. 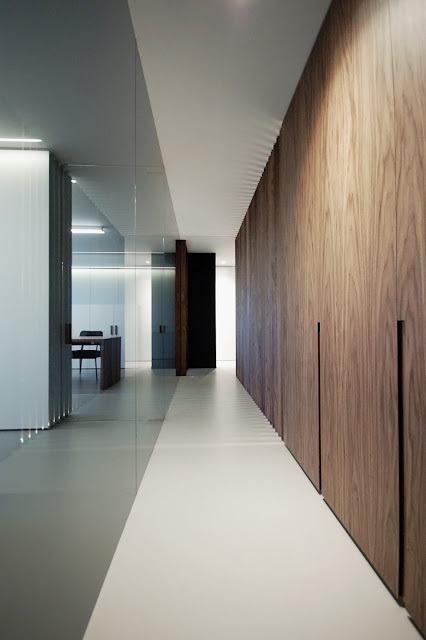 This way you get a very calm but clear visual separation, and the huge open space gets divided in a very subtle way. 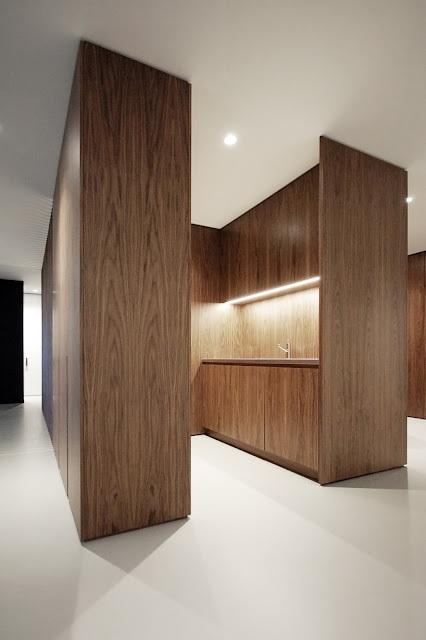 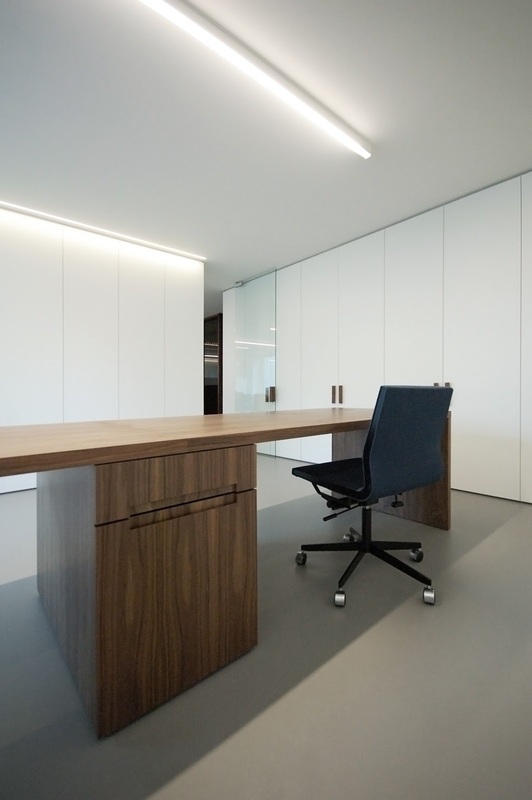 All furniture was made out of nut wood and white laminate, with floors everywhere being polyurethane in medium grey. Fifth floor has the same materials but the central point there is a travertine freestanding kitchen element /bar which gives the space and surrounding area a distinct quality.